Endless conversations, laughing till you choke, sleepovers, hangovers, holidays, gossip, games, inside jokes, fighting with each other to fighting for each other, a friend fills your life with those sweet memories which truly are irreplaceable. Friends are the ones you can always count on; they are the family we choose. Every friendship is magical in its own way. They know when to have fun and when to push you in the right direction, they have your back and support you just like a family member would. Doesn’t this truly feel special? To have someone with whom you can share all those things which you wouldn’t with anyone else without any inhibitions? 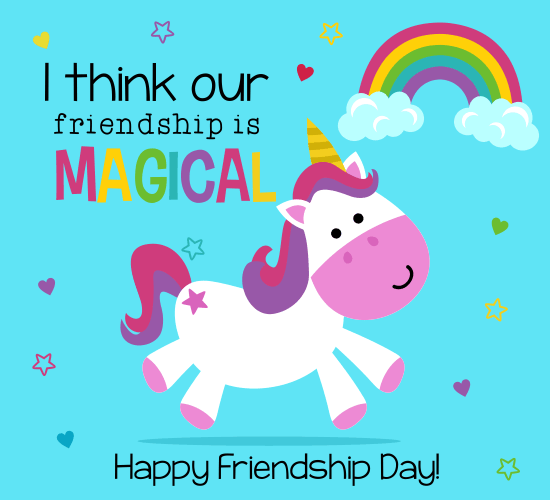 Celebrate the magic of friendship by sending this cute ecard. Cheeky, funny and cute this card describes friendship to the tee. A life without your best friend is totally unimaginable. Who would you share the news of picking up that designer bag on sale, that cute guy in high school, or the upcoming soccer matches and your first date? The happiness of something doubles up when you have a friend to share it with. Send this unique ecard to your best friend and let them know you don’t know what you would do without them! 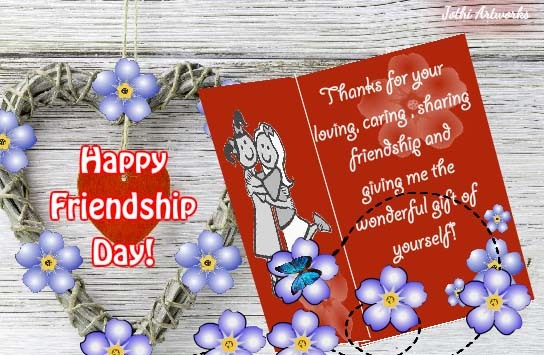 Wish all your friends a very Happy Friendship Day with this pretty ecard. Soothing music and a thoughtful verse makes it the perfect pick for letting your friends know how much you mean to them. Isn’t this card totally relatable? We all have that one friend in our gang who is up to silly antics to make us laugh. Whether it’s a photo bombing a picture, playing pranks, cracking lame jokes or first one to get drunk and hit the dance floor with the weirdest dance steps. 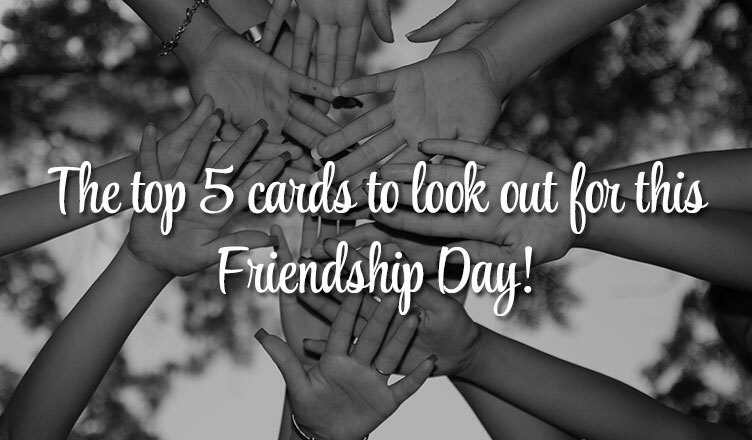 Let that friend know that he’s the heart of your gang and it would be no fun without him! Sometimes our lives take us to different places. Though we can be in constant touch with our friends, thanks to technology, their physical presence is deeply missed. 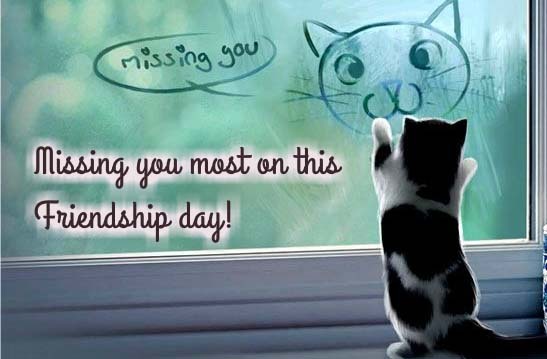 Send this cute kitty miss you card to your friends to let them know how much you miss them today! We hope these cards tug at your heartstrings and make you want to send one right away. 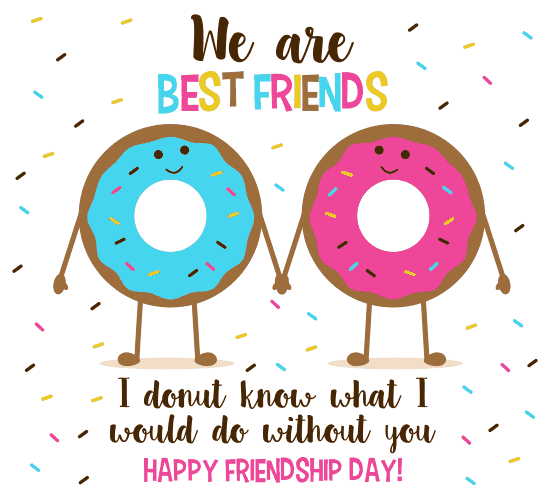 This Friendship Day express your love and care for all those friends who have been a part of your life, loved you and made you feel special. Make it special for them this year with 123greetings.com! 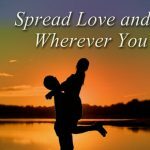 Previous Spread Some Love And Hugs On Romance Awareness Month! 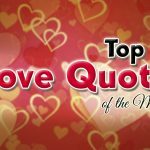 Next Top 10 Love Quotes Of The Month!